Triumph of the Nerds: The Rise of Accidental Empires zooms backwards on the information superhighway to show in vivid detail how youthful amateurs, hippies and self-proclaimed "nerds" accidentally changed the world. The three-hour program chronicles the birth and growth of Silicon Valley's personal computer industry. Hosted by Bob Cringely, a longtime industry observer, the sto... (展开全部) Triumph of the Nerds: The Rise of Accidental Empires zooms backwards on the information superhighway to show in vivid detail how youthful amateurs, hippies and self-proclaimed "nerds" accidentally changed the world. The three-hour program chronicles the birth and growth of Silicon Valley's personal computer industry. 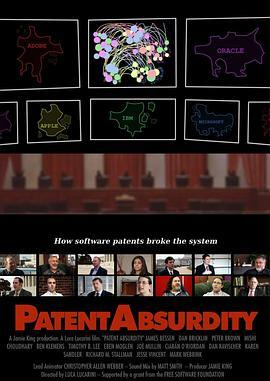 Hosted by Bob Cringely, a longtime industry observer, the story unfolds through Bay Area garages, industrial parks and convenience stores to examine the quirky, relentless and profitable adventures of the unlikely 20th-century pioneers who created the miracle products that revolutionized the world. Triumph of the Nerds features interviews with some of the industry's most recognizable characters, including Microsoft's Bill Gates and Paul Allen, and Apple founder Steve Jobs. For the first time, television tackles the history of this new industry with attention to the culture from which it sprang as well as the culture that it created. Cringely's book, Accidental Empires: How the Boys of Silicon Valley Make Their Millions, Battle Foreign Competition, and Still Can't Get a Date, was a national best-seller. Having written whimsical commentary for an industry trade publication, Cringely brings tart and insightful observations to the program. 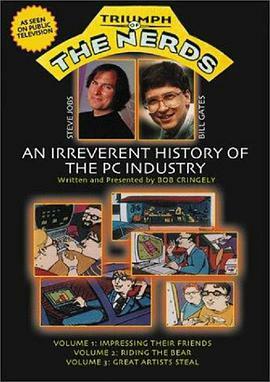 Divided into three discrete one-hour units, TRIUMPH OF THE NERDS is enhanced by comic book graphics, extensive research and Cringely's self-deprecating humor. Exploring the rise of Apple, Microsoft and other companies, the program examines the intra-industry competition and the displacement of corporate giants like IBM. Designed for viewing by youngsters who can't imagine a world without laptops, their struggling parents, the experts, the wannabes, the confused and the unenlightened, TRIUMPH OF THE NERDS puts cyberspace in a social and historical context.